We accept all major credit cards (VISA, MASTERCARD, AMEX & DISCOVER) via the secure payment gateways. You will be asked to confirm your details before proceeding to the payment page. If you need to make changes following the completion of payment contact our Support team. See Contact Us page. We can be contacted by phone, email, live chat and fax during our business hours from Monday to Saturday 9:00 am to 6:00 pm EST. Any messages received beyond office hours will be answered as soon as possible when we resume. The cost of each Dr. SkinAid® products. The price also includes Shipping fees. The merchandise cost and shipping fees are subject to change. The manufacturers of the Dr. SkinAid® products we carry are all GMP-compliant in terms of manufacturing facilities and operations. We ensure that the Dr. SkinAid® formula is consistent in every finished product. Most orders for in-stock items begin the order process as soon as the online purchase is completed within the cutoff time. Your in-stock item will be shipped once the item is located, your payment is approved and the receiving address is verified. After your order leaves our warehouse, delivery times vary according to the shipping method you selected during checkout and the location of your shipping address. Please note that business days are Monday-Friday, excluding national holidays. Overnight and Express orders are delivered via FedEX® to physical addresses only. Express orders may ship via FedEX® Express Delivery or USPS Priority Mail 2-3 Day Delivery depending on the availability of forwarding facilities in your area. Orders are delivered within promised delivery dates provided that the orders were placed before 12 PM Eastern Time from Monday to Friday only. Overnight and Express orders entered after the cut-off time will ship next day. Exceptions to this would be a holiday weekend and during the Christmas season. Please provide physical address to avoid delay. Shipping Cut-off time for Express orders is 12 PM Eastern Time, Monday to Friday only. Exceptions to this would be a holiday weekend and during the Christmas season. Please provide physical address to avoid delay. Standard orders normally ship within 48hrs. Royal Mail Special Delivery Guaranteed™. Orders shipping to an APO or FPO military address may only be shipped via the U.S. Postal Service and cannot be expedited. Please note these orders may take up to 21 days for delivery. All expedited orders require street address. Please note, international orders are subject to duties, customs, and value added taxes. If you are shipping your order outside of the Continental United States, as a condition of sale, you acknowledge and agree that title to your order transfers to you after exportation from the United States and immediately prior to importation of such order at the border of the ship to location and assume all risk and responsibility for the import clearance, duties, and delivery to final destination. These charges must be paid upon receipt of your order. Be sure to verify the additional cost you may incur with the authorities of the country the order is being shipped to. Dr. SkinAid® also protects both the company and consumers. This will encourage you to have confidence in buying online. All our customers are entitled to 100% Money-back Guarantee; your satisfaction is our no.1 priority. We will provide a refund for the product within 30 days of purchase. As much as possible, you must return the item/s, unopened or at least in its original packaging to us to the address given on the Returns and Exchanges page. Fill up the Returns Form or Contact Dr. SkinAid® Customer Service Dept. at 1-877-DRREPEL (377-3735) option 2 to obtain a Return Merchandise Authorization (RMA). Return the authorized item(s) per shipping instructions. Each returned item MUST be independently listed on this form. The information contained in this website is for general information purposes only. The information is provided by manufacturer of Dr. SkinAid®. We keep all our site information correct and up to date. However, this does not mean we make any representations or warranties of any kind, express or implied, about the completeness, accuracy, reliability, suitability or availability with respect to the website or the information, products, services, or related graphics contained on the website for any purpose. Any reliance you place on such information is therefore strictly at your own risk. We will not be held liable for any loss or damage including without limitation, indirect or consequential loss or damage, or any loss or damage whatsoever arising from loss of data or profits arising out of, or in connection with, the use of this website. Every effort is made to keep the website up and running smoothly. 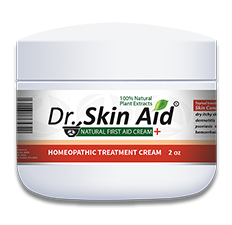 However, Dr. SkinAid® takes no responsibility for, and will not be liable for, the website being temporarily unavailable due to technical issues beyond our control. We will have your name, delivery details, address and telephone numbers and again, these will not be disclosed to any third party. No credit card details will be stored by us whether payments are made via PayPal or other merchant we use to process payments. We will also email you after your order to ask if you would like to be added to our address list and we will not add you without your permission. Nothing in this disclaimer notice shall serve to limit or exclude any liability for death or personal injury arising from Dr. SkinAid® negligence, or for fraud, or for anything else which it would not be lawful for Dr. SkinAid® to exclude. All material on this website, including text and images, is protected by copyright law and such copyright is owned by Dr. SkinAid® unless credited otherwise. It may not be copied, reproduced, republished, downloaded, posted, distributed, broadcast or transmitted in any way without the copyright owner’s consent, except for your own personal, non-commercial use. Prior written consent of the copyright owner must be obtained for any other use of material. Copyright of all images on this site remains with the artist or copyright owner at all times. No part of this site may be distributed or copied for any commercial purpose or financial gain. This disclaimer notice shall be interpreted and governed by laws of New York, USA and any disputes in relation to it are subject to the jurisdiction of the courts in New York. We reserve the right to update these terms and conditions and our pricing from time to time. All purchases are subject to these Terms and Conditions so please read them carefully each time you place an order.